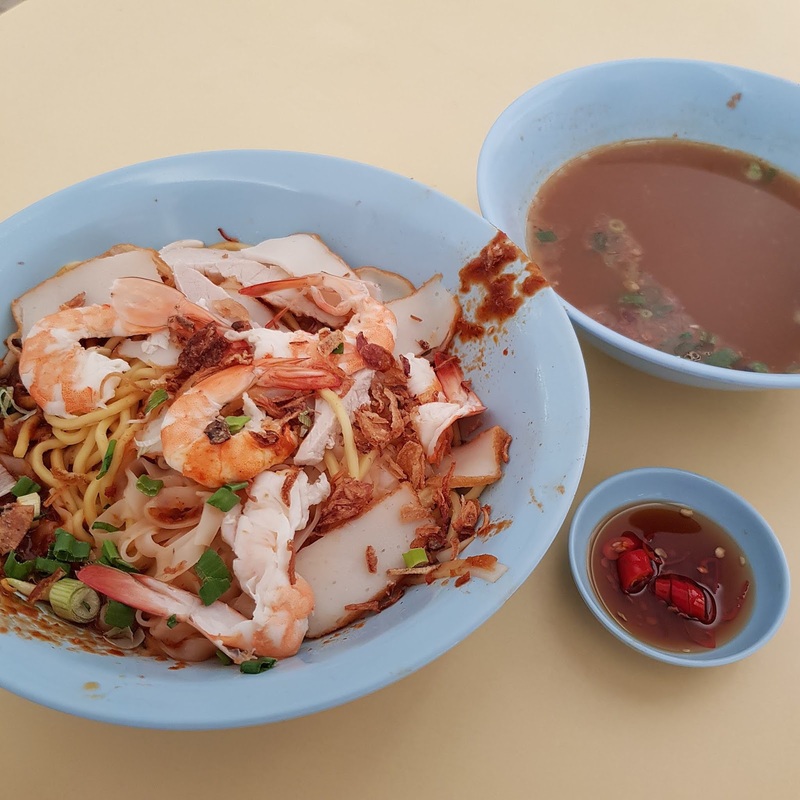 Seng Huat Prawn Noodles 成發 is probably the most popular stall at Telok Blangah Drive Food Centre judging from the queue whenever it is open. As age is catching up with the owner of the stall, the stall is now closed 3 days a week instead of 2 days. Whenever the stall is open, Sat to Mon, there is a queue at the stall. I visited the stall during weekday lunch time. There was a queue of around 7 persons in front of me. It was around 20 minutes of waiting time. 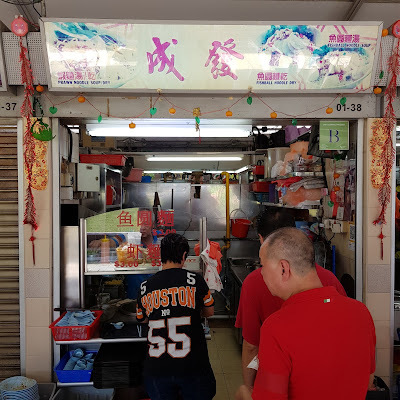 Interestingly, I noticed that the signage of the stall indicates that it sold fishball noodles too. 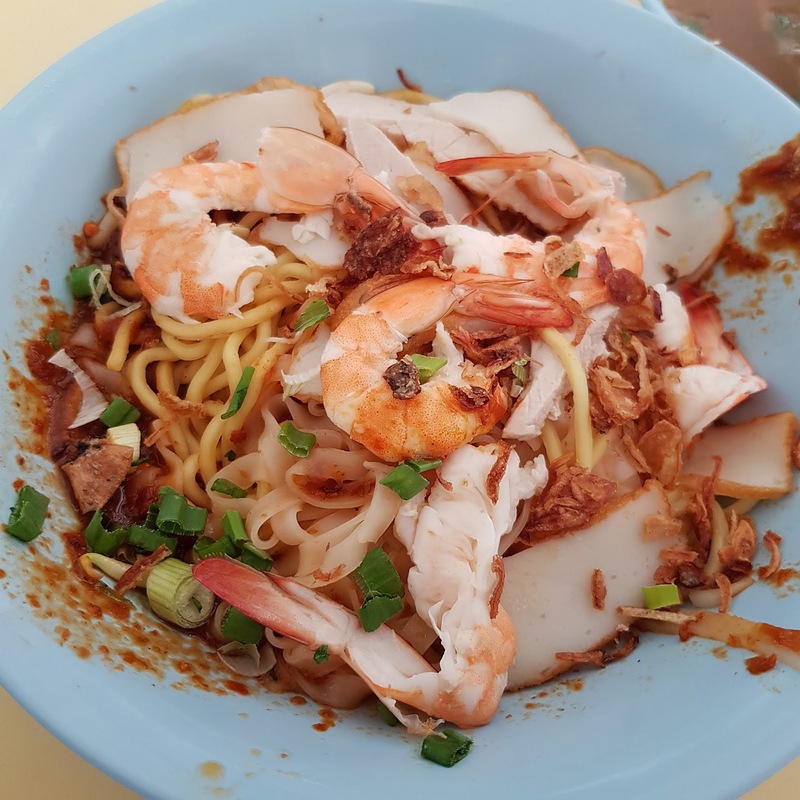 But everyone was ordering prawn noodles! 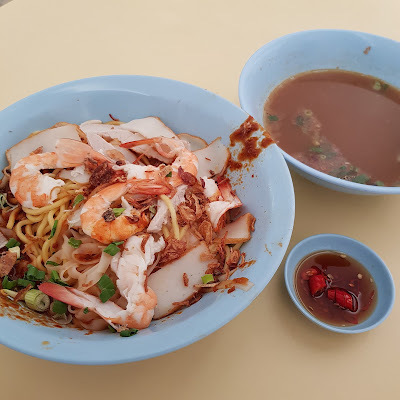 I ordered the $3.00 prawn noodles, dry with chilli. I was impressed by the generous serving of ingredients given for the price. The prawns were sliced into half and deshell except for the tail end. Moreover, the prawns were deveined! Most other stalls do not bother to do this as it is tedious. The prawns were fresh, firm and easy to savour as it was deshelled. Also the sambal chilli sauce was delicious! It was so fragrant and addictive that it reminded me of Fishball Story’s chilli sauce! I can eat the noodles with the chilli sauce all day! Having tried the prawn noodles, I now know why it has been so highly raved about! Give it a try before the owners retire! PORTA @ Park Hotel Clarke Quay ~ Find Out What Is Good From Their Refreshed Menu! This is a Singapore Food Blog. All outlets in Singapore unless stated otherwise. Please note that all comments/opinions are based on FoodieFC's personal point of view (taste, mood, preference). 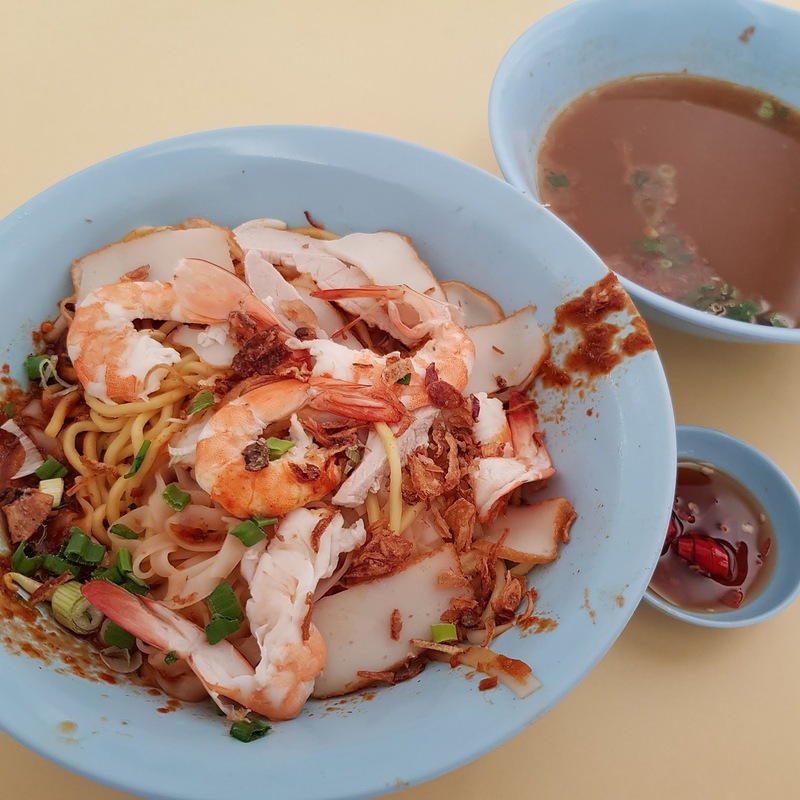 FoodieFC has no intention to discriminate anyone or food outlets in any of the post in this blog. So read with a pinch of salt or two.